Hummingbird Migration Spring 2014. 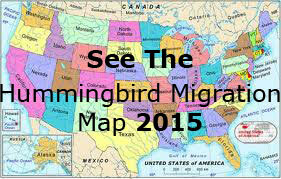 Migration sightings and map for Spring 2014. 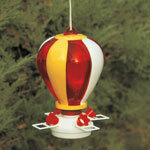 We hope that our Hummingbird Migration Spring 2014 data can be useful in deciding when to hang hummingbird feeders. Please look first at the migration map itself. The markers represent sightings posted by visitors in the Spring of 2014. Besides checking on the locations notice that different colors were designated for each month.This information is shown above the map itself. Otherwise scroll down to the list of sightings. These are separated by months beginning in February,the start of migration in some states and ending in May,the end of migration in other states. SEE THE 2018 MIGRATION MAP! 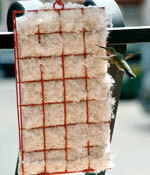 It is true that you cannot rely on these sightings for a definite arrival date because many factors influence the migration journey.Hummingbirds are wild birds that do rely on instinct in starting out on their trip.Unlike many believe, weather in generally not the factor influencing when they will begin. This has more to do with amount of daylight. Nonetheless, perhaps along the way they are delayed by stormy weather. On the other hand, an above average food supply from wild flowers might cause them to linger in one spot for a few extra days one year but not the next. 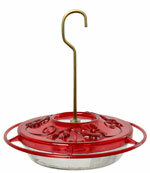 Maybe, a hummingbird did arrive at someone's residence a little early and the feeder was not yet up. The birds might go unnoticed for several days before being spotted and reported. Overall though, the intent of this data is to enable everyone to get an estimate of the arrival dates. It's helpful to all hummingbird lovers and it's fun.We hope you will participate by visiting our Hummingbird Migration Map 2015 and submitting your own hummingbird sighting. You can keep track of their journey by using our interactive map. It can be fun to report to others your first sightings and keep a record for yourself from year to year. See the List of Hummingbird Sightings for 2014 to get an idea of the hummingbird migration arrival in your area. See the current and previous years sightings to help estimate the arrival of the hummingbirds in your area. The Yellow Markers represent sightings in March. The Red Markers represent sightings in April. The Blue Markers represent sightings in May. The Green Markers represent sightings in June. Submit Your Sighting to the Map. Click the "Add" button. 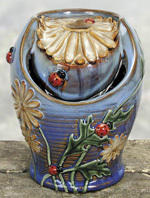 Please fill out the form below to share "your sightings of 2014". We thank you and our visitors thank you for submitting your sighting. It will help us all to enjoy tracking the migration in anticipation of their arrivals.